Thank you to California Walnuts for sponsoring the recipe we created, Apple Walnut Slow Cooker Bread Pudding. 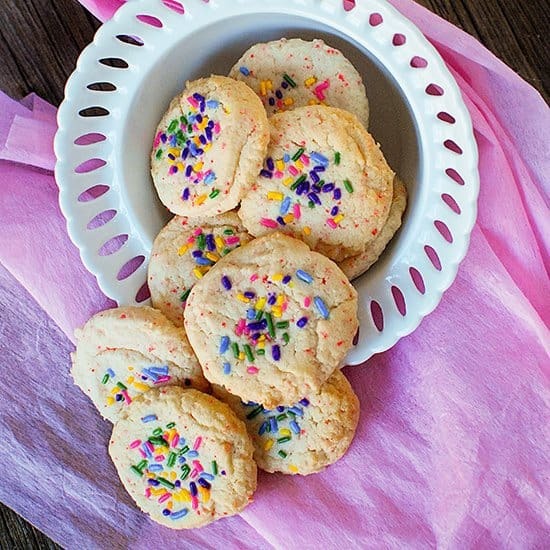 Who loves sweet treats? This girl definitely does! I am working hard at living a healthy lifestyle, but still like the occasional dessert. It’s all about moderation, right? Yes it is! I tried to amp up this recipe with a few healthy additions. like California walnuts. 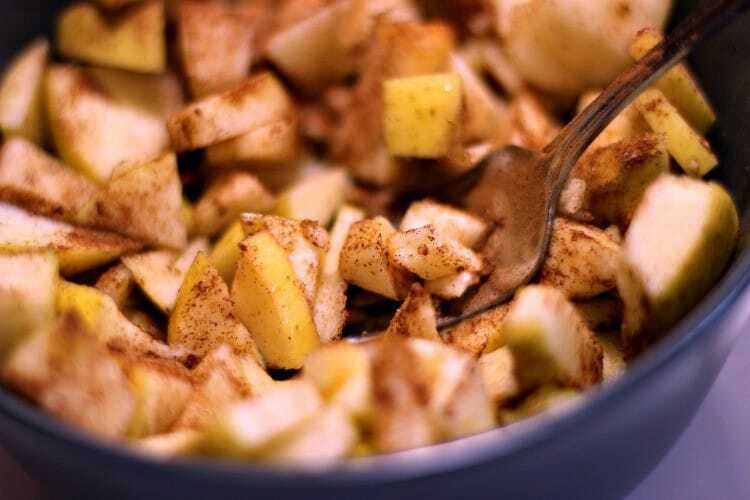 Apple Walnut Bread Pudding recipe is a winner in the dessert category! Plus, it’s made in the slow cooker, so no need to heat up the kitchen on a hot summer day. Here’s the list of ingredients you will need to have a wonderful, delicious dessert you can make in the slow cooker. Traditionally bread pudding is made with stale bread cubes. I don’t usually have time to wait for the bread to become stale when I need it for a recipe. I just lightly toast the bread in the toaster and cube it up. For this batch of Apple Walnut Bread Pudding, I used a dark German Wheat bread for the whole grain and fiber. 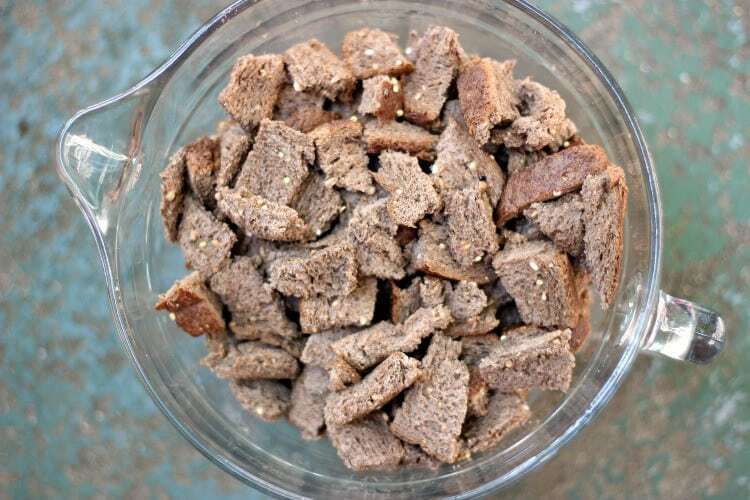 You can use your favorite hearty bread. The apples I added were chopped, but I didn’t remove the skin. Leaving the skin on adds extra fiber, which we all know is what we need for healthy digestions. 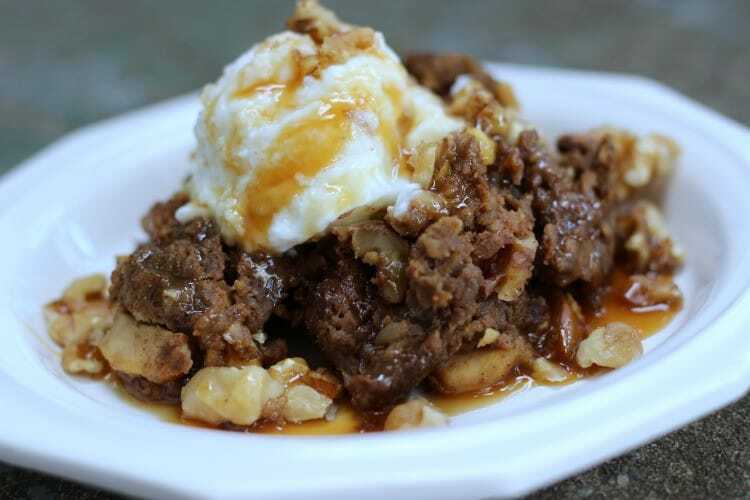 The California walnuts are packed full of nutrition and add a wonderful texture to the Apple Walnut Slow Cooker Bread Pudding recipe. California walnuts, add protein, fiber and healthy omega-3s to our dessert recipe. Walnuts are the only nut to contain a significant amount of alpha-linolenic acid (ALA), the essential plant-based omega-3 fatty acid. In one ounce, there are 2.5 grams of ALA, which is more than five times the amount found in any other nut. Bam! That definitely kicked the recipe up a notch or two! California walnuts have a distinct delicious flavor. It was hard not to eat all of them before I even started the recipe. Sweet potato is also full of fiber, beta-carotene and vitamins. Sweet potatoes can be added to most any recipe, very easily. If a baking recipe calls for applesauce, pumpkin or melted butter, try substituting sweet potato puree for extra nutrition. 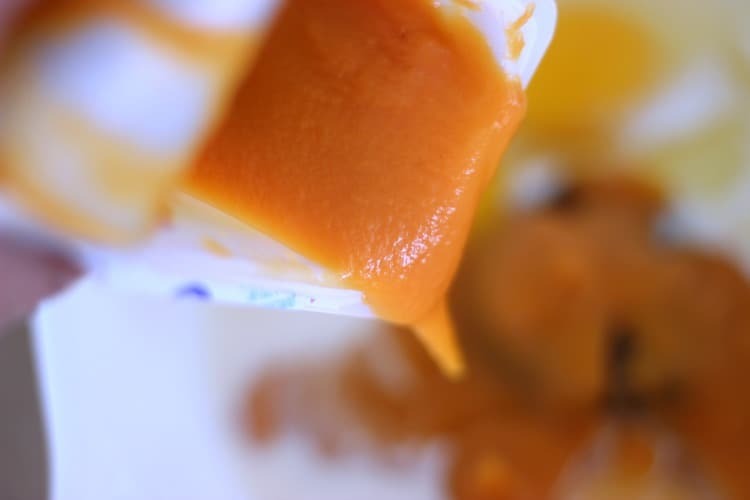 I keep baby food sweet potatoes in my pantry so I always have them on hand when I need them. Recipes that you can throw together and forget for a few hours, are the best. I utilize my slow cooker as much as possible all year round. I don’t have air conditioning in my house, so I appreciate not having to turn on the oven during the hot summer days. 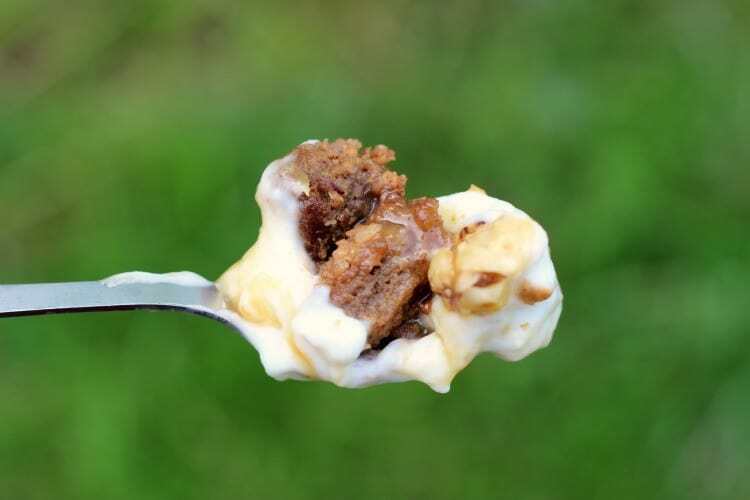 You don’t have to feel guilty eating an occasional dessert like this Apple Walnut Slow Cooker Bread Pudding. 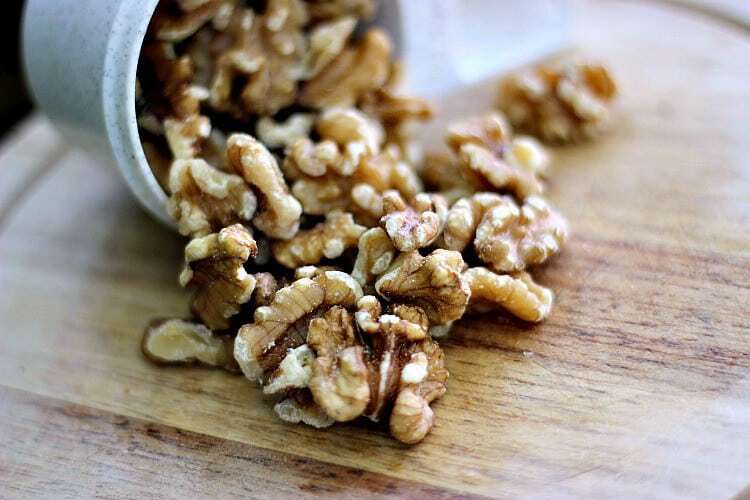 When you add California walnuts to your recipe, you add extra protein, fiber and healthy fats that should be part of a healthy lifestyle journey. 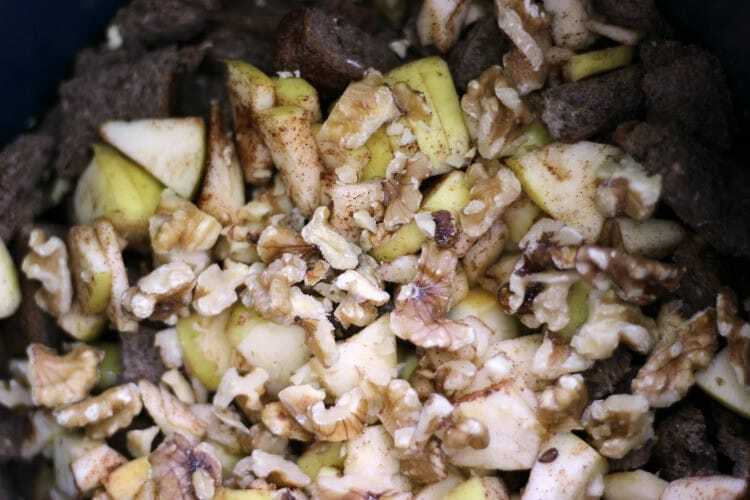 Can you think of a favorite recipe that would be even better if you added California walnuts? 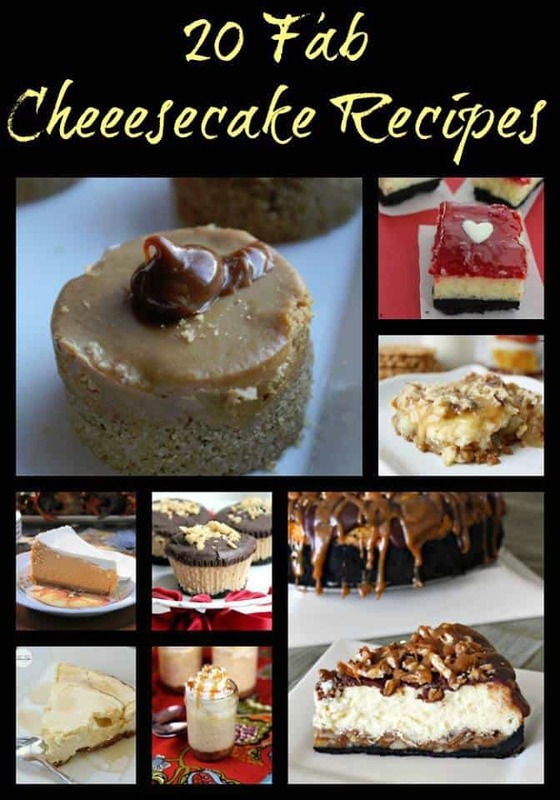 If you have a favorite walnut recipe, be sure to enter the I Heart Walnuts recipe contest. The contests is accepting entries now through July 7. I have never had bread pudding before, I can’t wait to try this. It sounds delish! This looks nice. A scoop of ice cream will make this a summer treat everyone will enjoy. My husband isn’t big on dessert (I know, it’s hard but I love him anyway). This is one I think we’d both devour! It looks awesome. 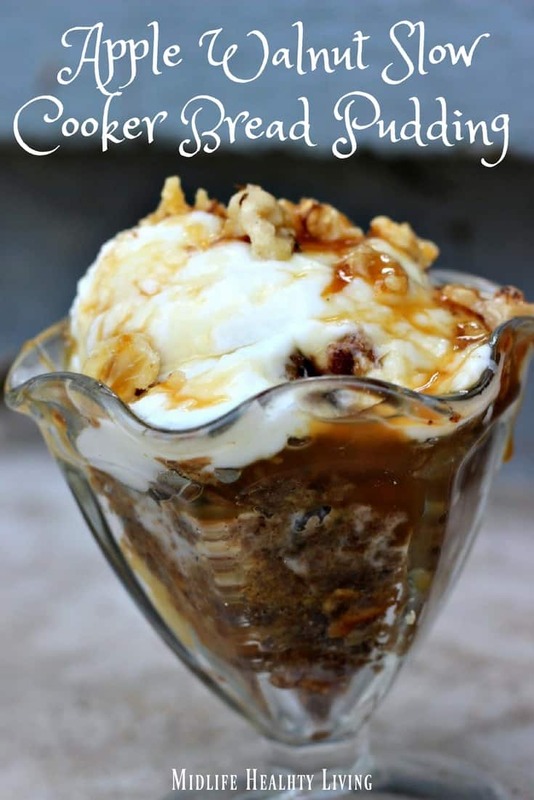 I have ever made a bread pudding before but this looks so delish ad so simple! I never knew! 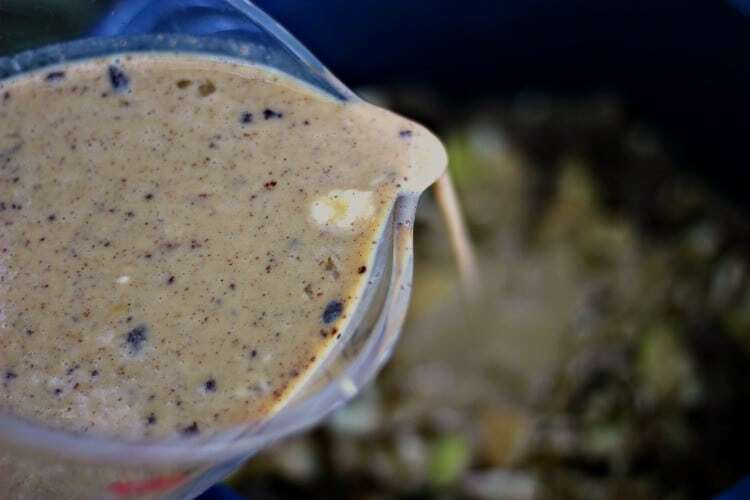 This looks like a delicious recipe to try, thanks for sharing it! I will give it a whirl one of these days! Wow. This is almost.. just almost too pretty to eat. I might be able to hold back my family long enough to snap a photo or two. Oh wow! I love that this is made in a slow cooker. I hate heating my house up in the summer with cooking – and this looks just perfect. This looks amazing! And your photography is awesome by the way! Thanks for compliments. I appreciate you stopping by! 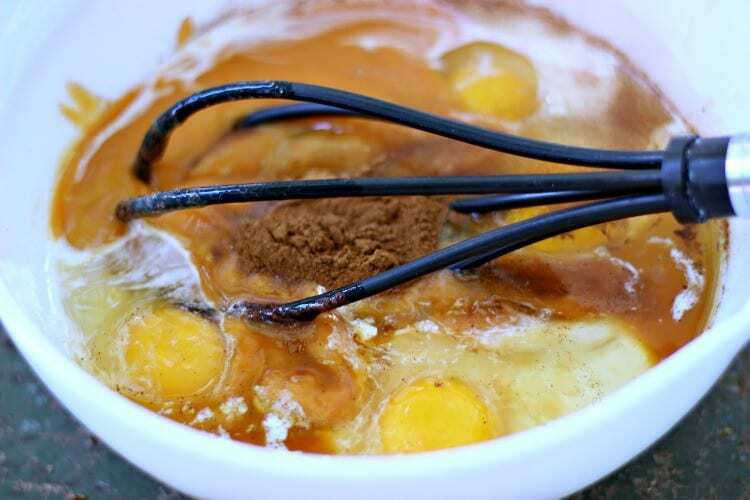 We use our slo cooker for so many great dinner ideas, but I have never tried a dessert? I am sure this will be amazing, I will be making this soon! 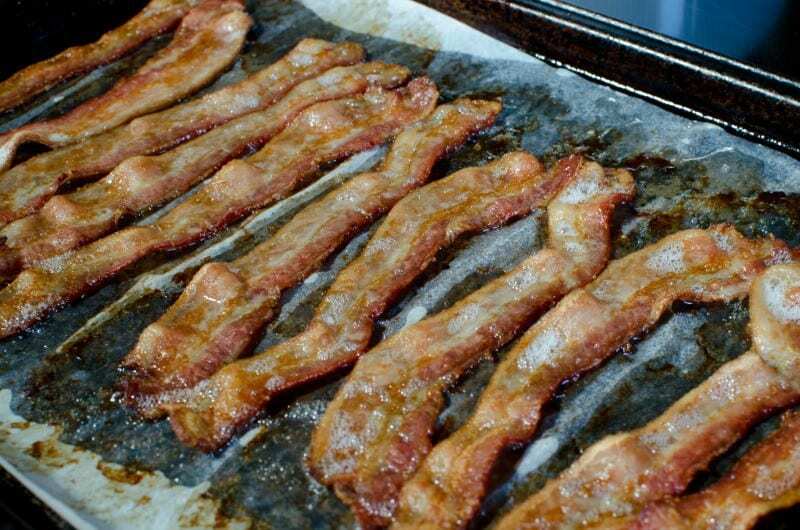 That looks heavenly. I grew up using walnuts but here in the south Pecans seem to be king. I would still rather have walnuts! Oh my I love bread pudding. That looks truly amazing! This dessert looks delicious! I love bread puddings. I usually love adding walnuts to my brownie batches. It makes my brownies taste even better and adds good texture! Bread pudding is one of my favorite indulgences. This one looks so delicious! I love slow cooker meals, but have never tried a dessert in one. This recipe looks like an awesome first to try. 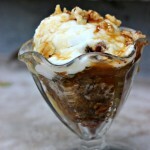 My husband loves bread pudding and would devour this! I absolutely love walnuts. 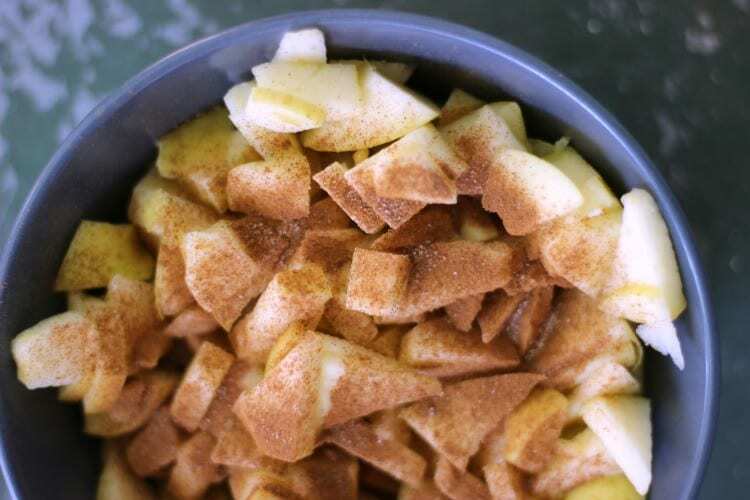 Plus, apples with cinnamon is divine. 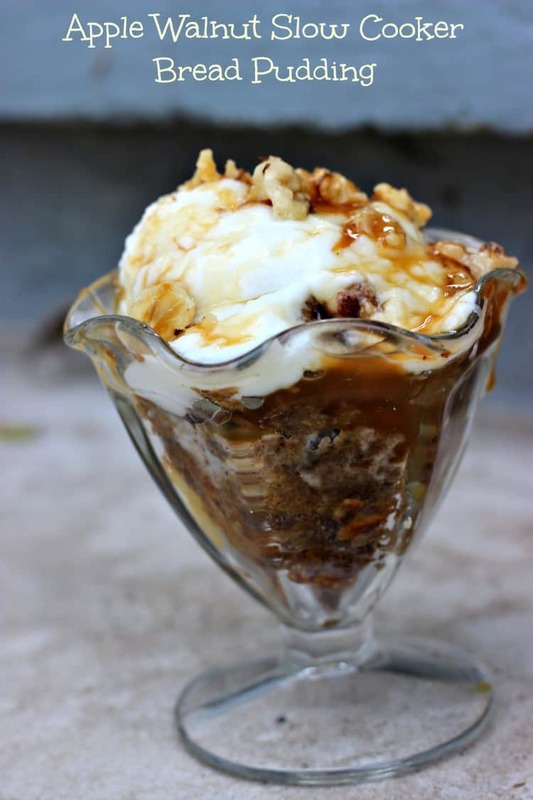 Nothing like a yummy slow cooker dessert! Thanks for sharing this great idea.